Jacob is delighted to be performing at Moisture Fest for the first time! 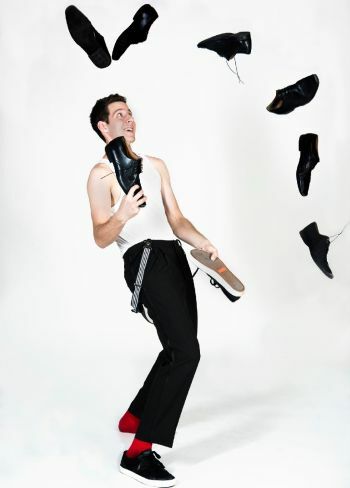 He’s a native New Yorker who became obsessed with juggling at age 10. Since then, his skills have brought him to 14 countries on 5 continents. Recent credits include Australia’s “Strut & Fret Production House” and Opera Omaha’s production of “Pagliacci”. In September 2018, he was the only American invited to compete at the 17th Nikulin Circus Festival in Moscow, Russia and from April-October 2019 he’ll be touring England with the critically acclaimed Giffords Circus. He can’t wait to be back in Seattle and take in everything the fest and city have to offer! He hopes you’ll enjoy his show and if you see him around, please don’t hesitate to share a good restaurant or sightseeing recommendation!